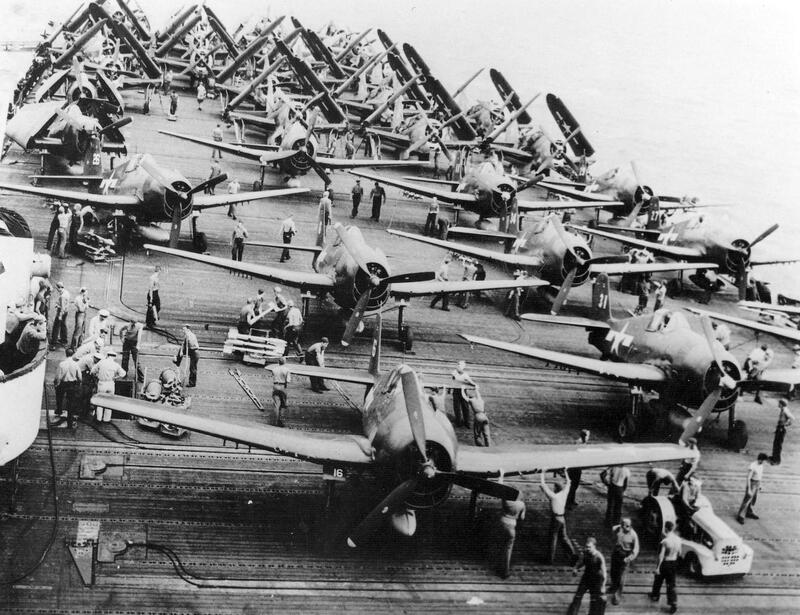 » F6F-5 Hellcats being prepared for take-off aboard the carrier Franklin off Luzon, Philippine Islands, Oct 1944. Note SB2C Helldivers spotted aft. This photograph has been scaled down; full resolution photograph is available here (1,876 by 1,443 pixels).